The Nike LeBron 14 is the next signature model for the Cleveland Cavaliers All-Star LeBron James. Nike Basketball won’t officially unveil the model for a few months, but you can expect images to leak and other details like release dates and colorways to be provided beforehand. 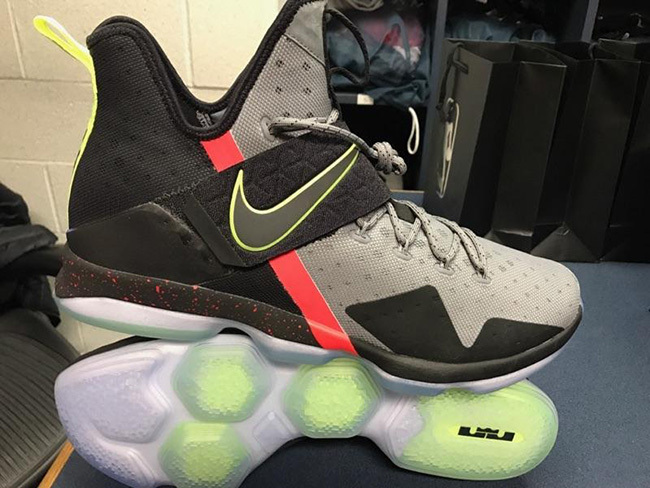 It’s no secret that retailers are having trouble selling the Nike LeBron 13, even some have came out and said it. While it could be due to the look, some are complaining about the price. If price was a factor for you, then you will be happy to hear that the Nike LeBron 14 will be priced lower than it’s previous models. Current retail price is $200 for the mid top but the LeBron 14 will cost you $175. So that will save consumers around $25 (obviously) but nonetheless, is a positive sign in our book. The Nike LeBron 14 features Maximum volume Zoom Air units for the most articulated response. Dual-zone composite upper that utilizes engineered laser perforation, which fits closely to the foot for an initiative fit and sleek aesthetic. Dynamic midfoot strap, utilizing auxetic shapes for a natural stretch that helps lock the foot into place. 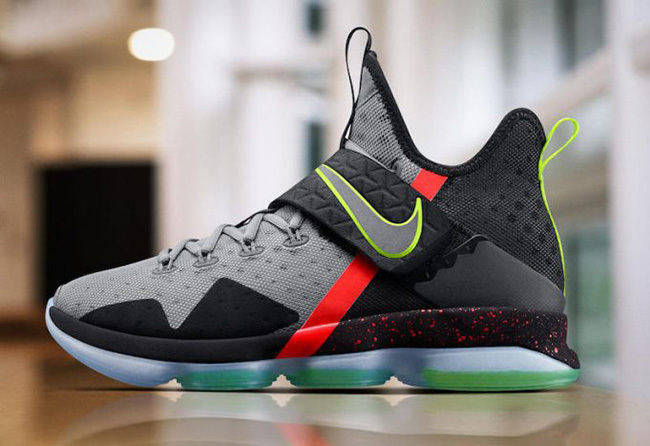 At the time of writing, a release date for the Nike LeBron 14 has yet to be announced, but below you can check out more images. Once we have additional information, we will make sure to update you. Retail price will be $175. Update: Nike Basketball unveiled the LeBron 14 on Christmas Day. James is also wearing them against the Warriors. Stay tuned for updates. Update: The Nike LeBron 14 finally leaked which was capture on the feet of James during practice. 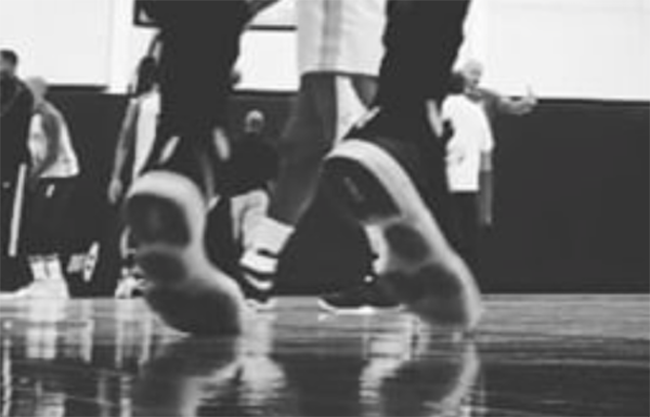 As you can see, they are more of a mid design while using a Hex-Zoom outsole. The video is done in Black and White which is hard to tell the actual colorway. Expect more images to leak soon as well as the official unveiling. 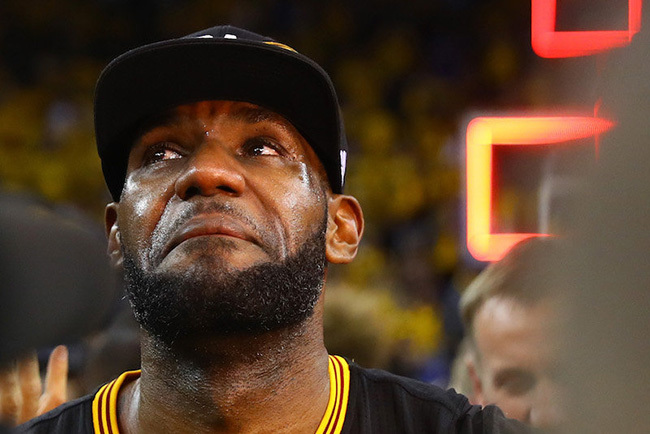 Update: New information has leaked for the Nike LeBron 14. 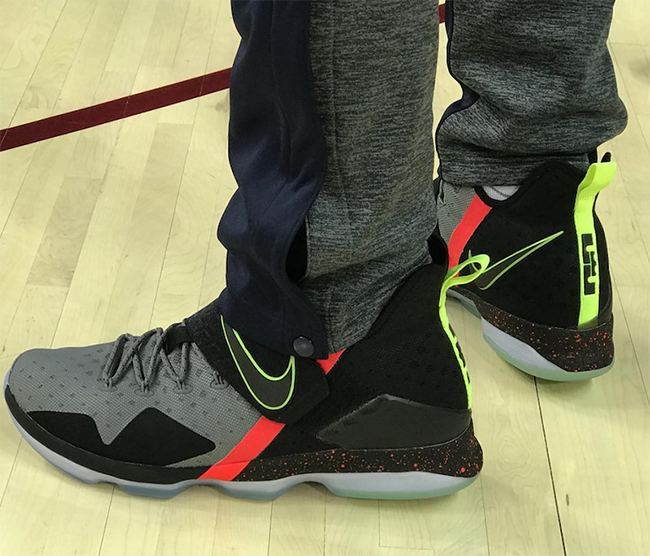 According to ESPN’s Dave McMenamin, LeBron wore his 14th signature shoe in shoot around today before the Cavs matchup between the Los Angeles Clippers. While he didn’t share to much information, he did say they were all Black and have a strap. 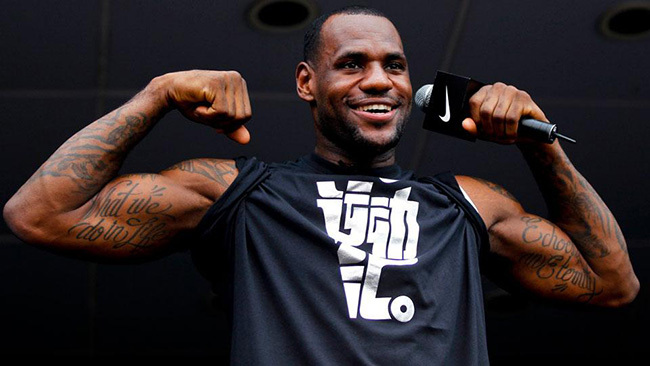 It’s possible that LeBron James could be wearing the shoes during tonights game. If he does, we will make sure to update you with a first look. Previous articleNike Air Foamposite Pro Premium ‘Tan Leather’ Releasing in 2017? 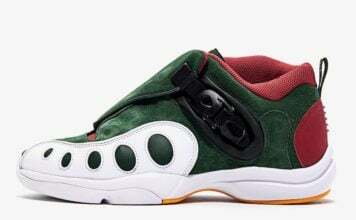 wanna see what this kicks looks like with the price drop. polite at a lower price interesting. 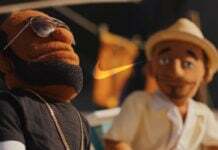 guess nike going to take margin hit. we need an AZG retro stat! we needs pics already and retro the AZG please! It’s not because of the price.